College hoop fans are in for a treat as Solar Entertainment Corporation announces its partnership with the National Athletic Association of Schools, Colleges and Universities (NAASCU) to air the 16th season of the Seniors Basketball tournament via Basketball TV and Solar Sports. Lead by Commissioner Fritz Gaston, the season runs from August 25, 2016 up to the second week of October. Fourteen teams are participating in this year’s tournament. Carryovers from 2015 are Saint Clare College of Caloocan City, University of Pasay, New Era University, Our Lady of Fatima University, Rizal Technological University, Philippine Christian University, AMA University, and Lyceum of Subic Bay. New participants for season 16 include Philippine Merchant Marine School, Colegio de San Lorenzo, Enderun Colleges, De Ocampo Memorial College, Manuel L. Quezon University, and EARIST (Eulogio “Amang” Rodriguez Institute of Science and Technology). 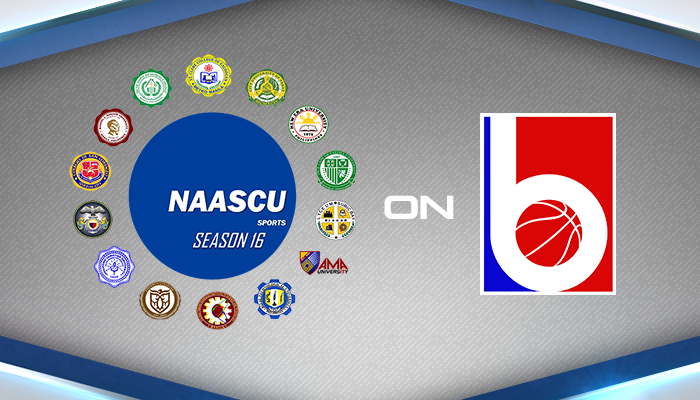 NAASCU Season 16 games will be played at the Cuneta Astrodome, Rizal Technological University, Makati Coliseum, and Enderun Colleges. Watch the games on Basketball TV every Monday to Saturday (2:00PM – 6:00PM) featuring delayed games on Monday, Wednesday, and Friday. On Solar Sports, another set of contests airs delayed on Tuesdays, Thursdays, and Saturdays (5:00PM – 9:00PM). Opening day is on August 25, 2016 at the Cuneta Astrodome. The festivities will air on Basketball TV at 1:00PM. Like and follow Basketball TV (Facebook, Twitter, Instagram) and Solar Sports (Facebook, Twitter, Instagram) for scores, news, and updates on NAASCU 16.